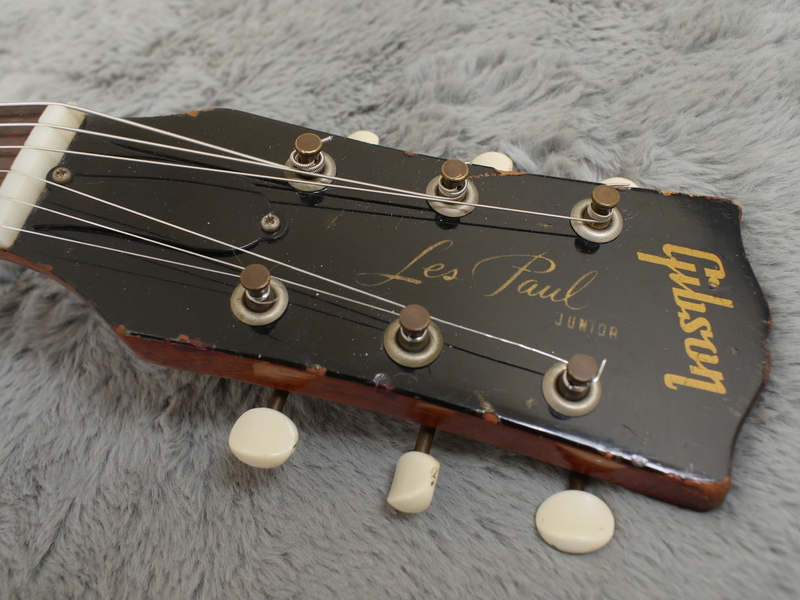 1960 Gibson Les Paul Junior + OHSC MINT! 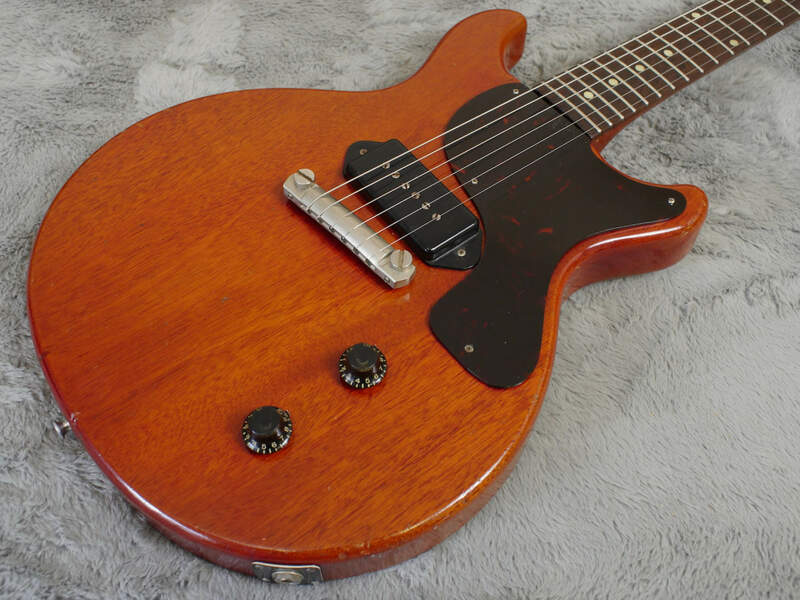 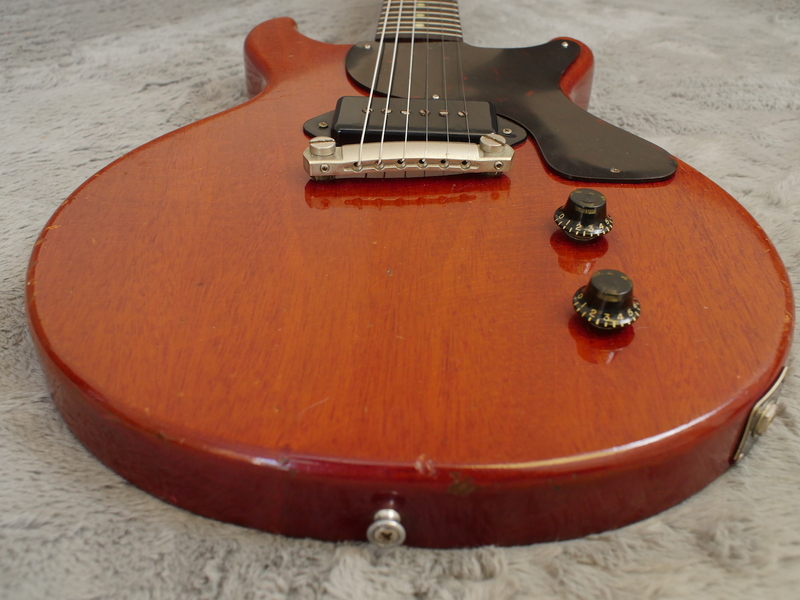 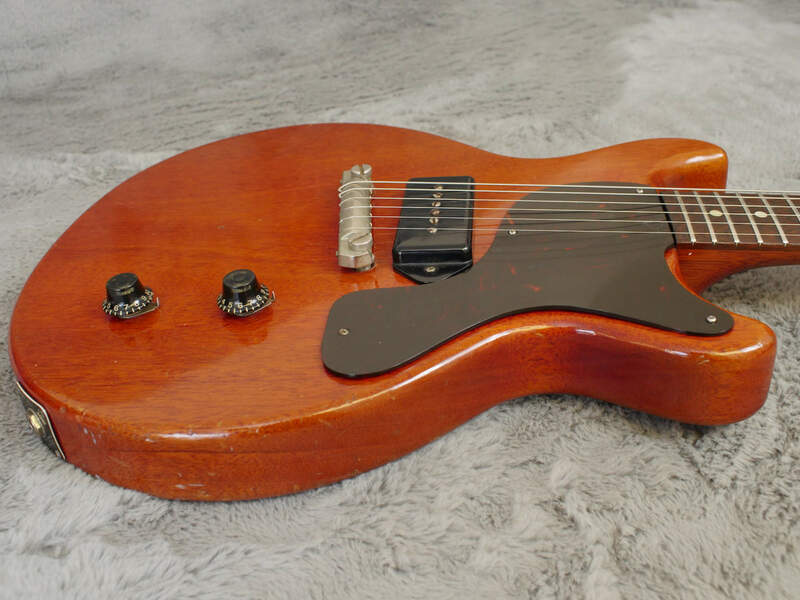 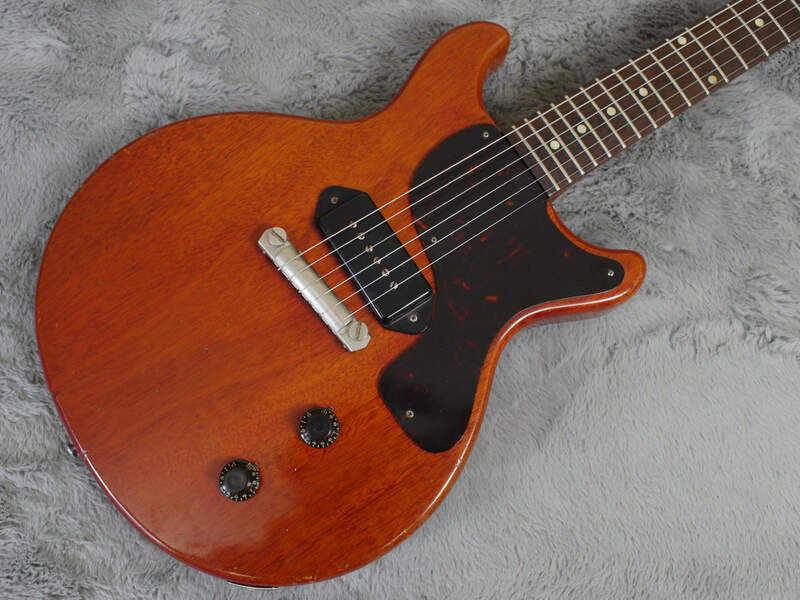 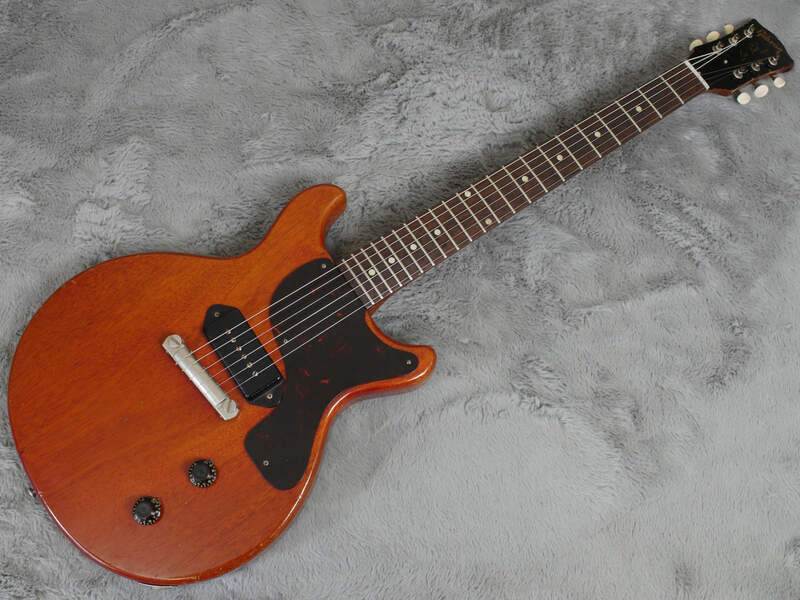 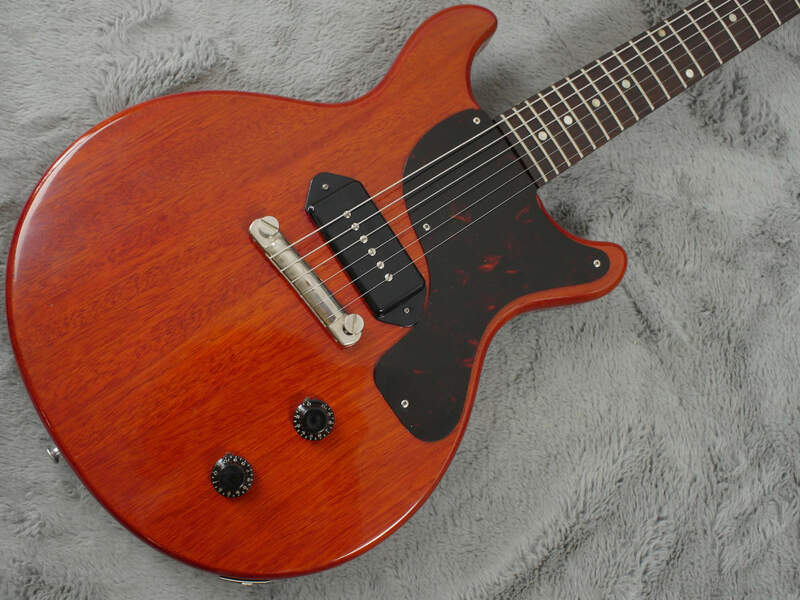 We love a Les Paul Junior and boy do we have one here for you. 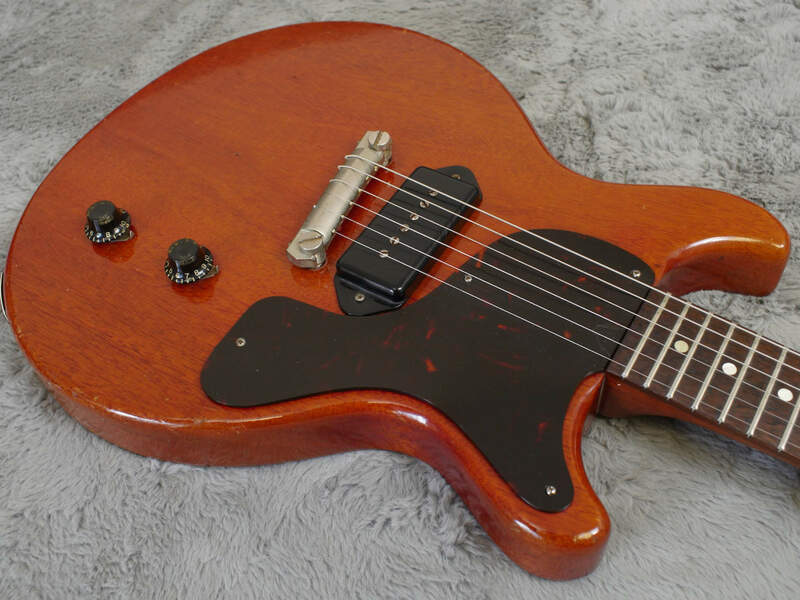 The time machine seems to be working a treat as this 1960 Gibson Les Paul Junior looks and feels like it just stepped out of the store, just about mint condition with a case to match which is also in near mint condition. 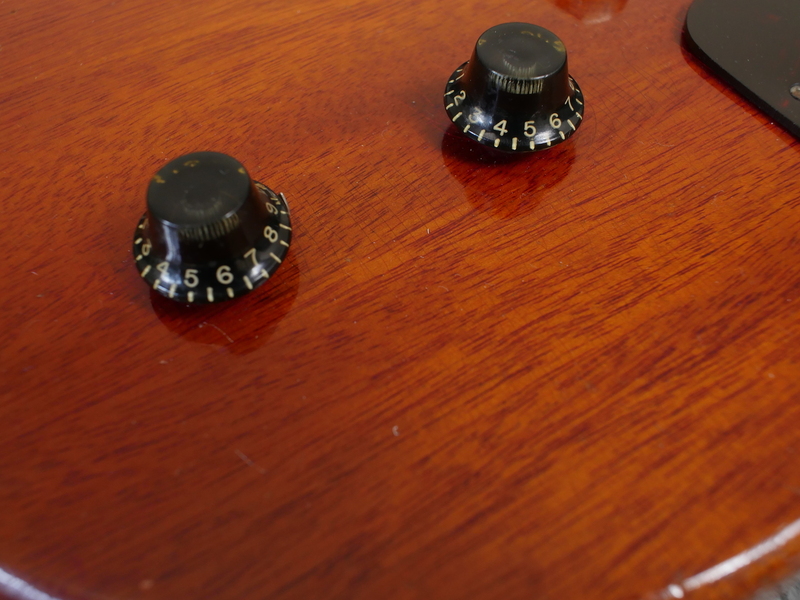 The all original finish on this amazing guitar is exquisite showcase for the mahogany body and neck. 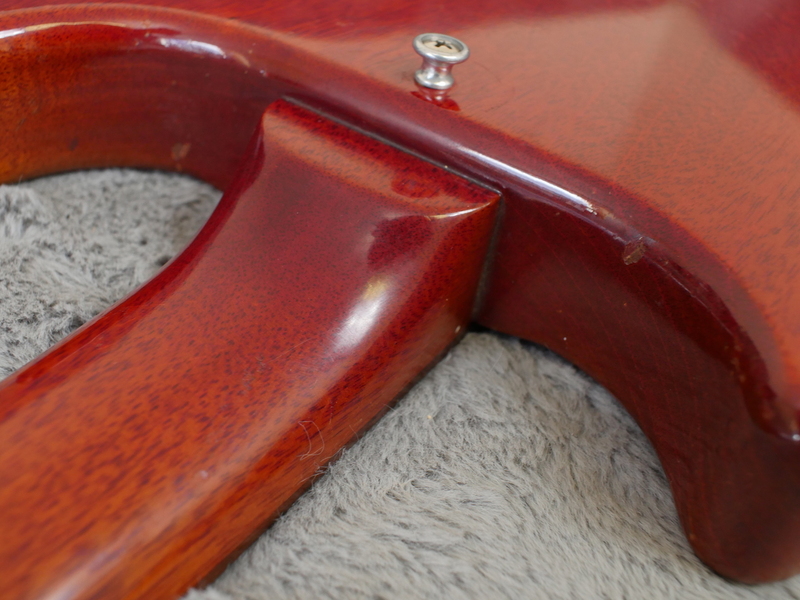 The finish is immaculate on both the front and the back/sides with no touch ups and no overspray at all. 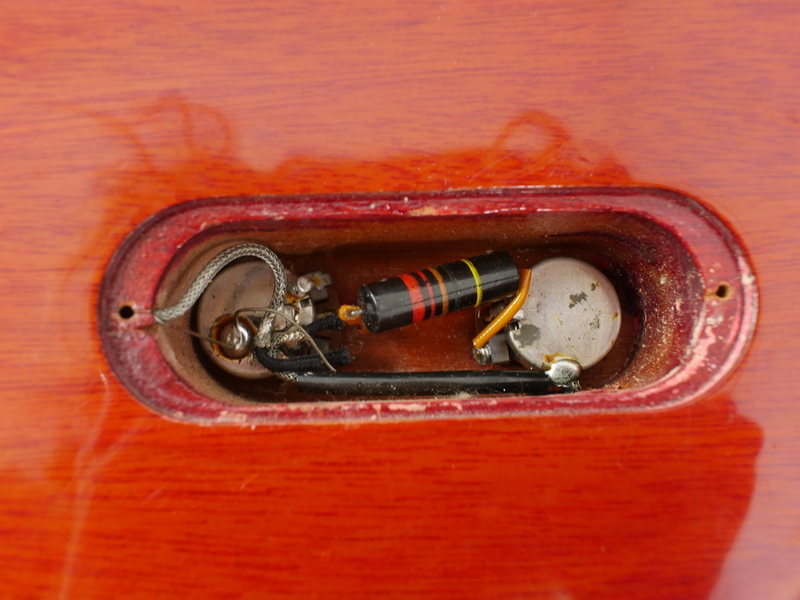 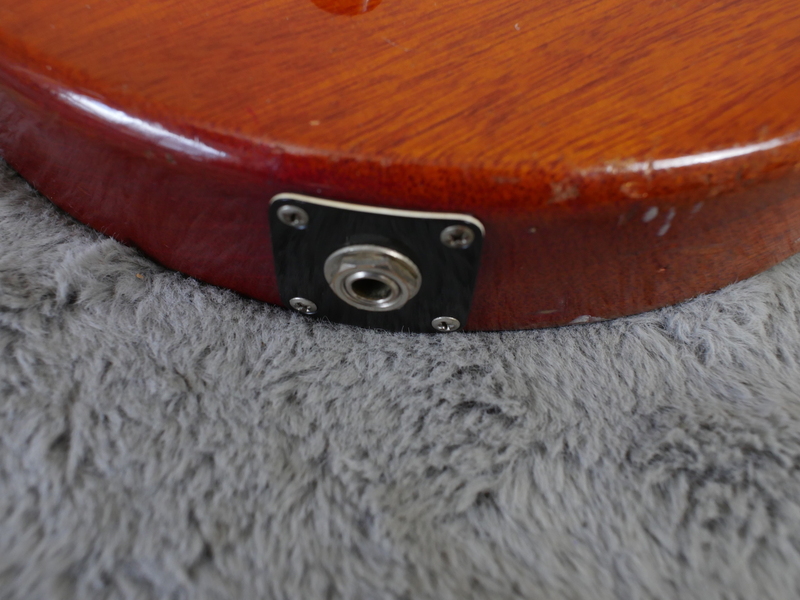 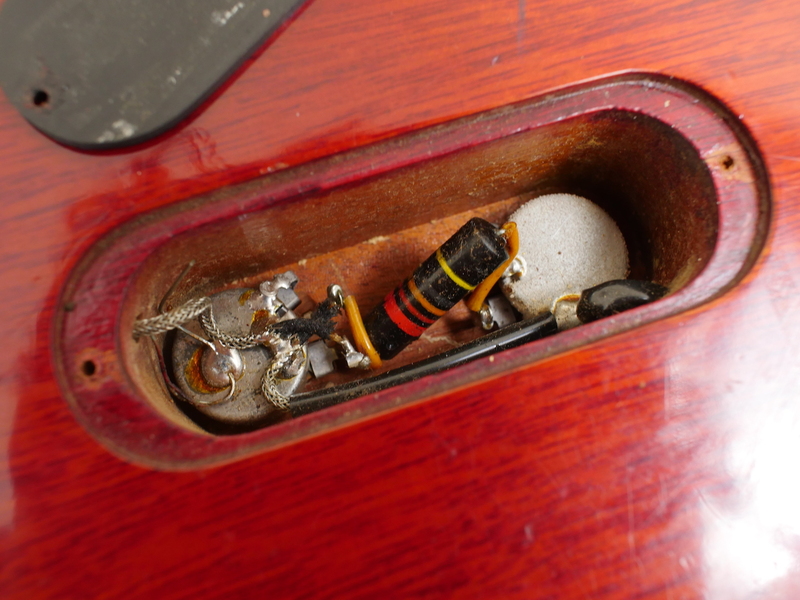 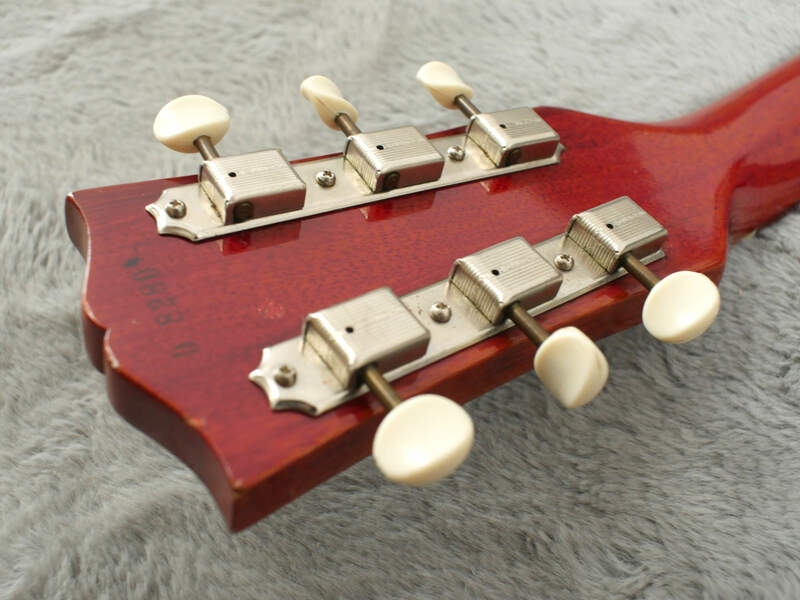 The hardware is still really shiny and even the tailpiece studs look as if they have never had a screw turned to adjust them. 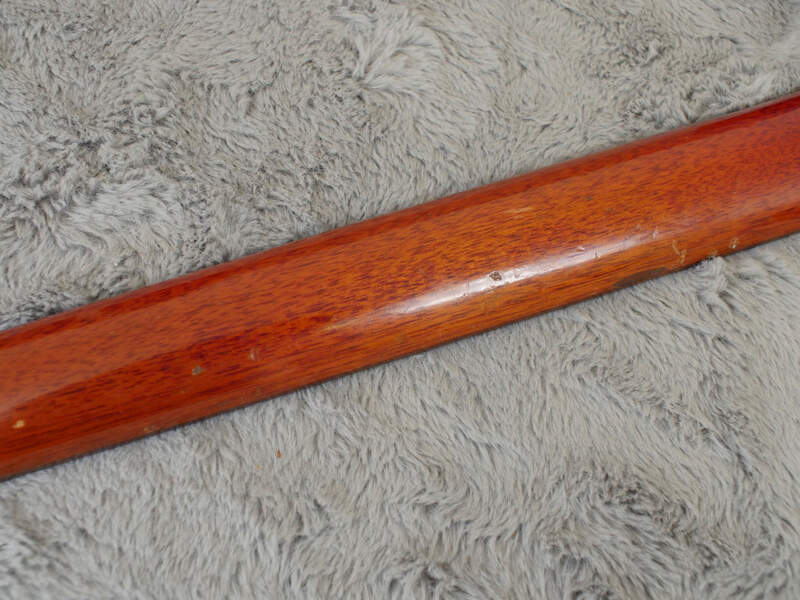 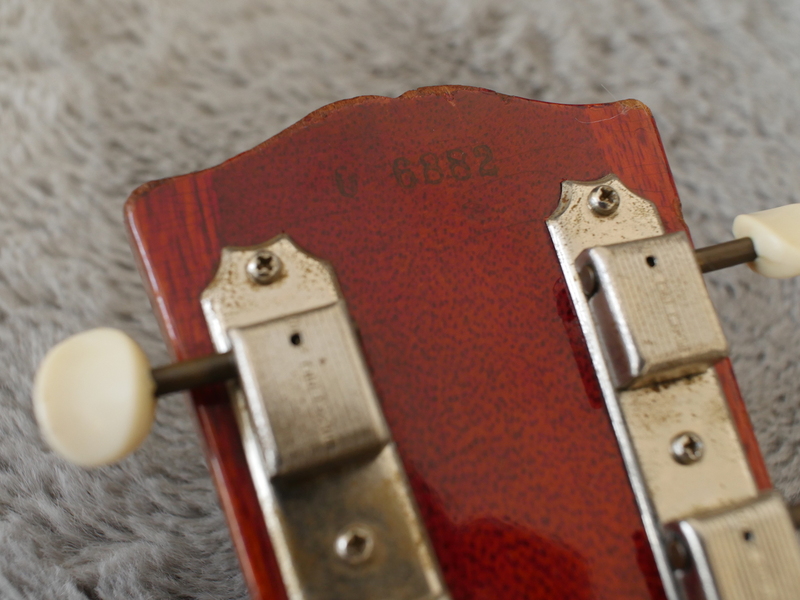 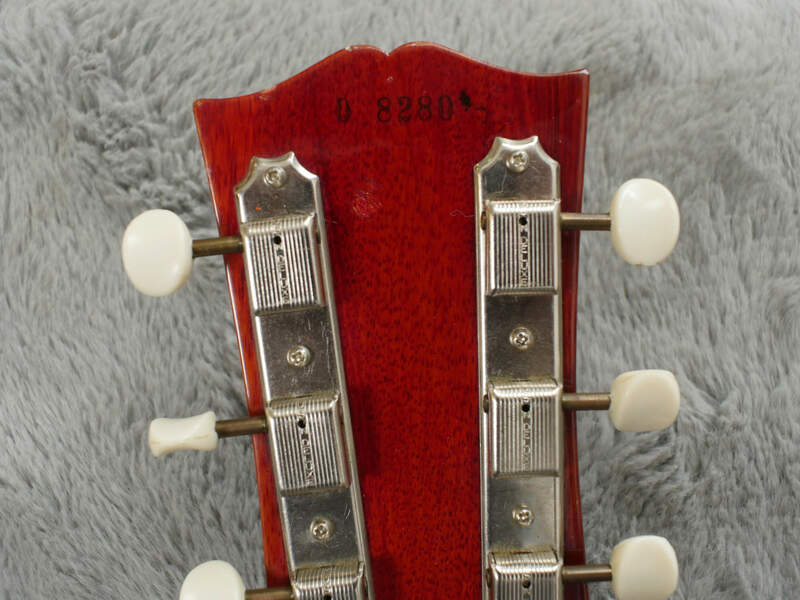 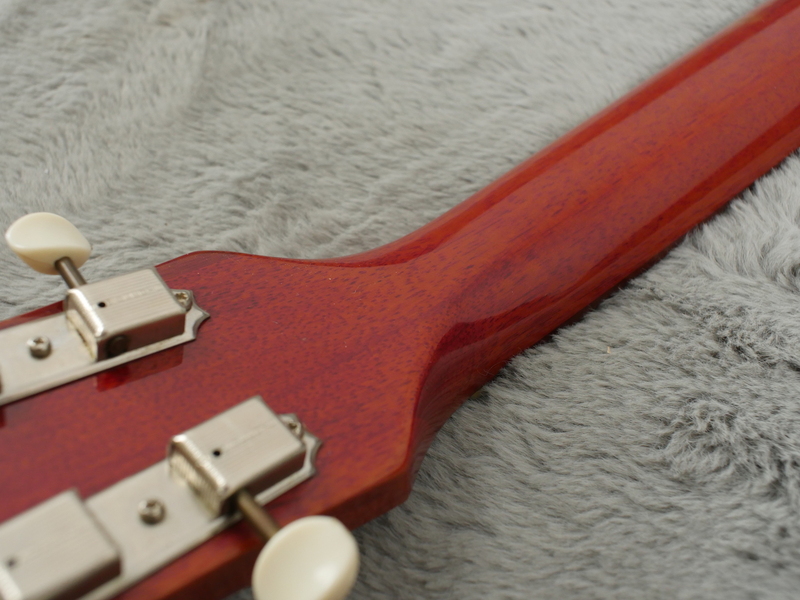 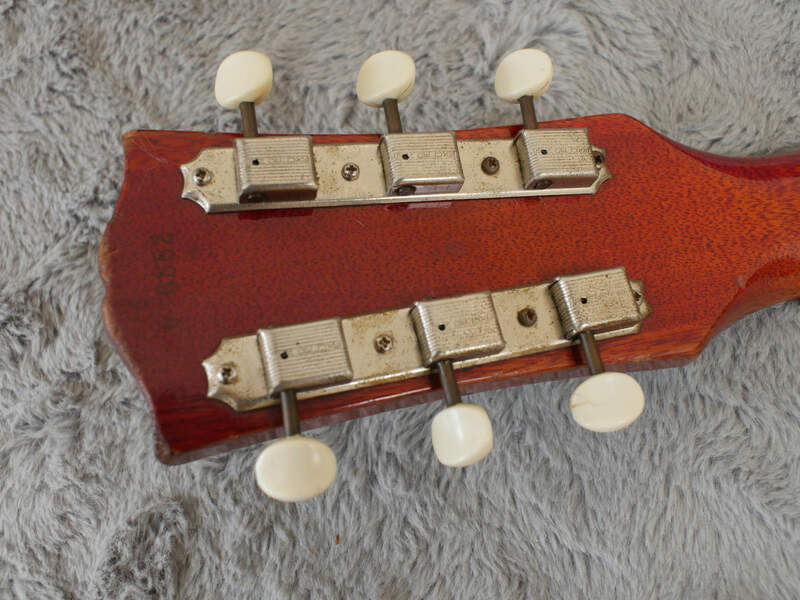 The headstock is also wonderfully non dog eared and if you were presented this as a guitar 6 months old you would not bat an eyelid, the fact it is now 58 years looks to be totally beyond belief…! 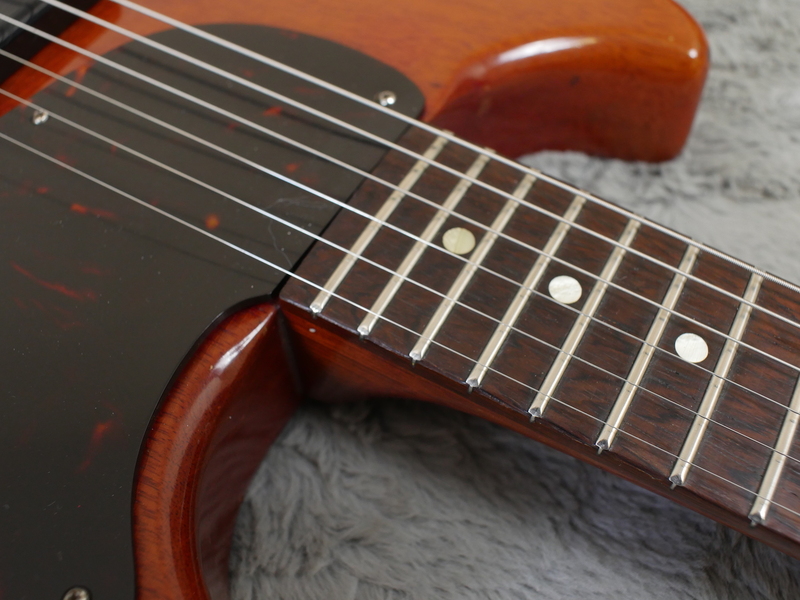 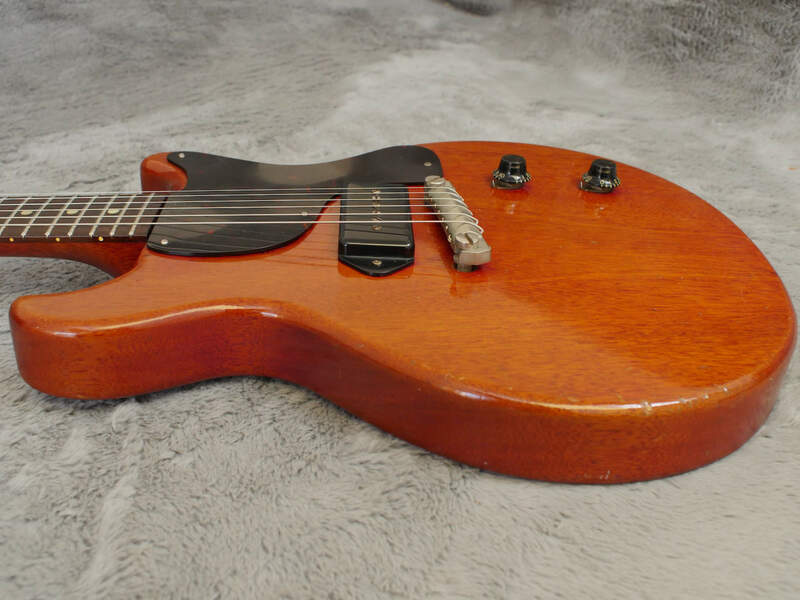 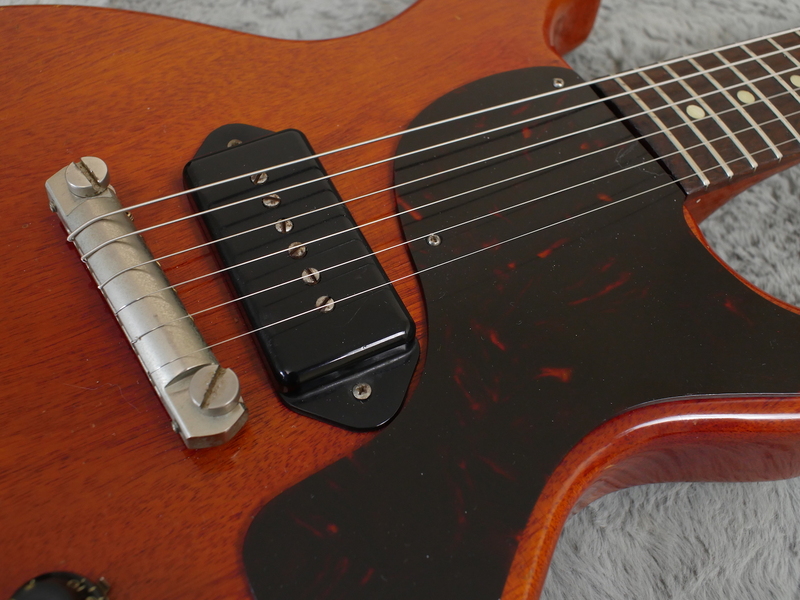 There is zero wear on the fingerboard and frets, it plays perfectly with no dead spots and that single, wild and powerful vintage P-90 will raunch with the best of them. 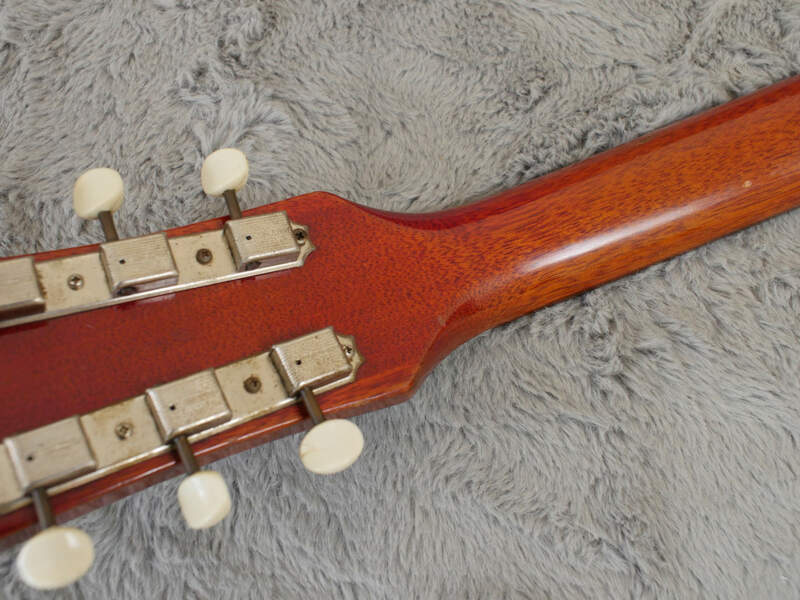 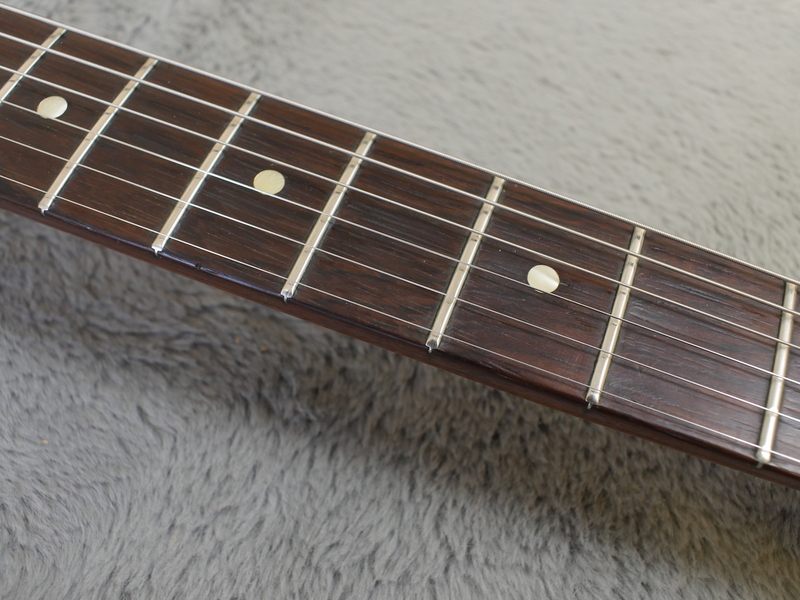 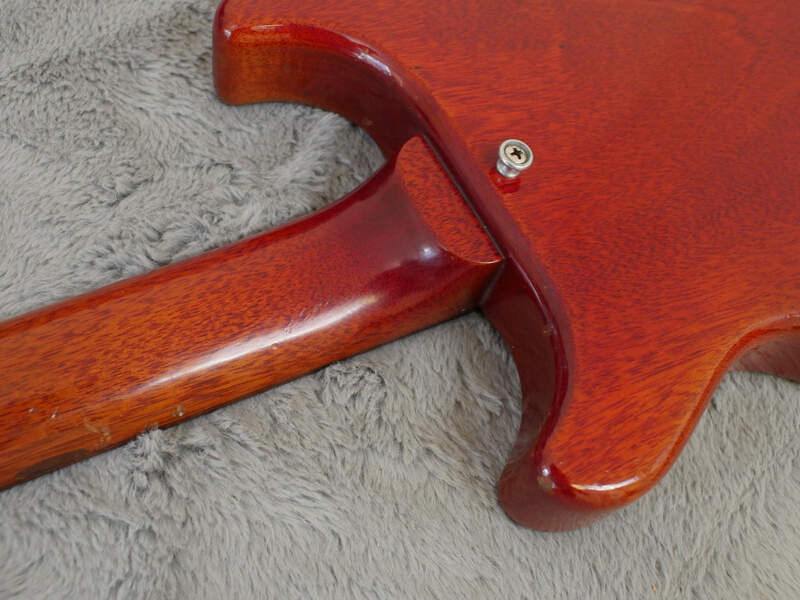 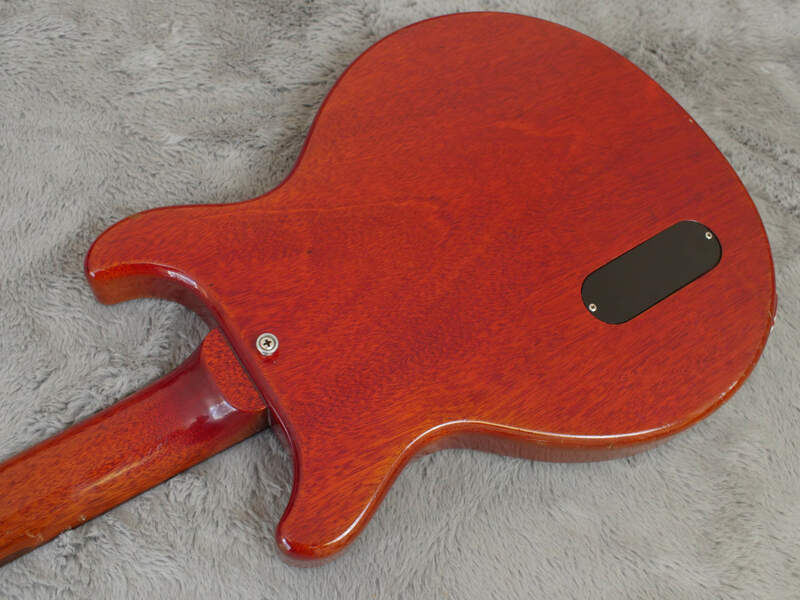 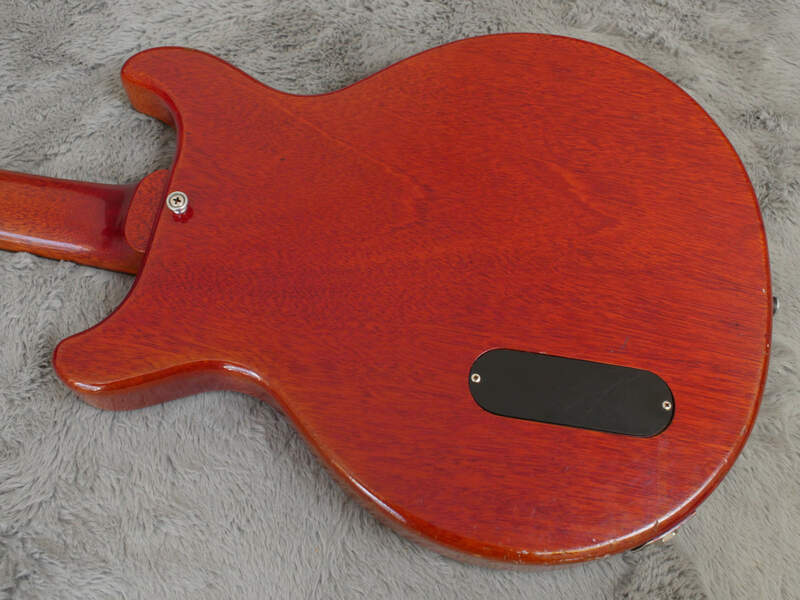 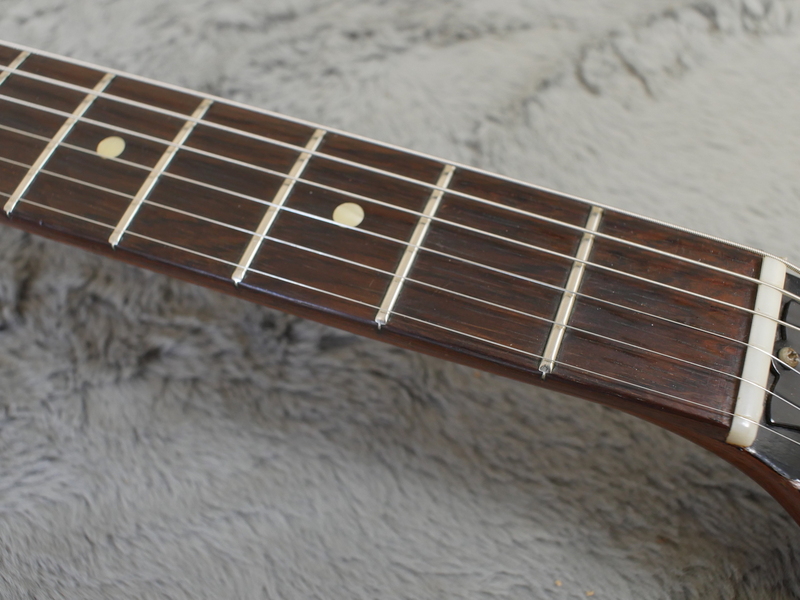 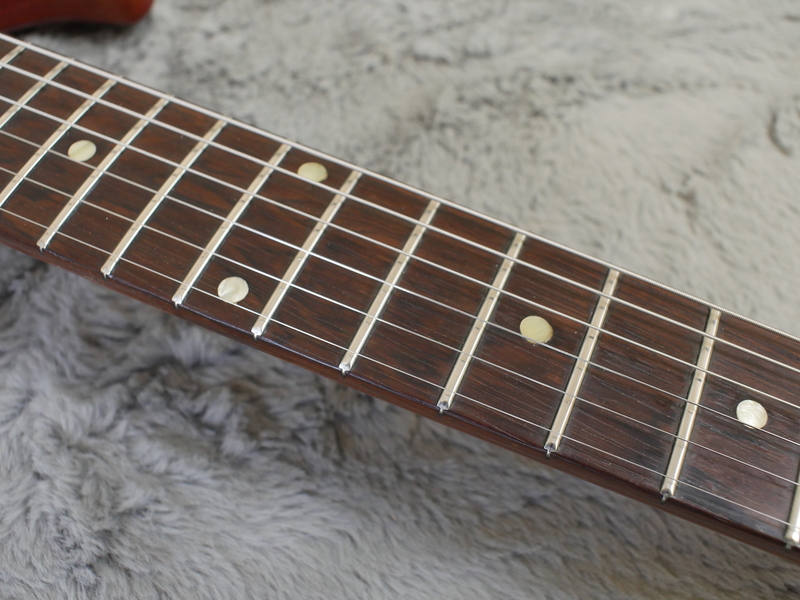 Neck is the slightly less beefy neck you get starting in late 59 and is very comfortable to play with a wide profile.